Hopelessly Devoted Bibliophile: Favorite Fantasy Books with D.W. Hawkins. Plus your chance to take a book home! Favorite Fantasy Books with D.W. Hawkins. Plus your chance to take a book home! On the blog today, I have D.W. Hawkins, author of The Sentient Fire. For those of you who know me well, you'll know that Fantasy is (and probably forever will be) my absolute favorite genre! So when D.W. asked if he could take over my blog for the day to share his favorite books, and to do a giveaway, I happily acquiesced. Enjoy! In one short night, Dormael Harlun’s life was changed forever. Tired and half drunk, Dormael stumbled upon Shawna Llewan, a beautiful young woman, wounded and near death. What he didn’t realize was that his decision to come to her aid would be only the beginning of his unwitting role in a labyrinthine and perilous game. Suddenly, Dormael and Shawna find themselves surrounded by enemies bent on their destruction. All avenues to safety are closing rapidly, and their only hope is to find the key to a dangerous secret lost to antiquity. With every ally a potential foe, they can rely only on Dormael’s brother Allen and his cousin D’Jenn to escape the will of a tyrant, the designs of a traitor, and the attention of powers beyond their imagining. Dormael has never been much for games, but destiny has rolled the dice for him and irrevocably placed him in the middle of a deadly game he must desperately play for keeps. Should he lose, he will forfeit not only his own life, but the lives of the ones he loves. Every reader, and author, has a number of books that they remember reading throughout their life that stuck with them through the years. Books that stood the test of time, spoke to them on some level, and that they can go back at any time and read again. For me, the genre that most entertains and speaks to me is fantasy, and the worlds and people that those stories spin out into the universe. I’m going to stick with series instead of singular books today, because the book series is the meat and potatoes of the fantasy genre, at least in my opinion. I love a story that keeps going for awhile. I get this feeling of loss when I finish a great book, and so I usually go for those books with three or more installments in the story. Some of these I read when I was a kid, and I realize that they are geared more for a young adult audience, but I don’t care. I could still go out and read them at any time and enjoy them. The first fantasy books that I can remember reading are The Belgariad and The Mallorean by David Eddings. I read those books when I was around twelve years old, and I can still remember the smell of the old paperbacks that my dad had loaned me to read. Now, I’ve seen a lot of people blast these two works, and David Eddings, on the internet. Some even go so far as to say that these were “two of the worst series in fantasy”. Well, sure the story was predictable. Sure, it was a story we’ve read again and again. But the great thing about these books, at least to me, was the interactions of the characters in the book. I came to love Garion, Belgarath, Polgara, and the entire cast of the story. Hey, I was twelve, alright? In my humble opinion as a writer, this series is an awesome place for a young person to start their love affair with a great genre. The next series that I can remember falling in love with was The Dark Elf Trilogy by R.A. Salvatore. I don’t much go for books that feature elves, or really any of the Dungeons and Dragons novels, simply because it usually doesn’t interest me. This one, though, kept me turning pages. I think it was the idea that even surrounded by a society that was grounded in such evil ideals, Drizzt came out alright, for the most part. It is also a good commentary on racism and prejudice, if you stand back and take a look at it. 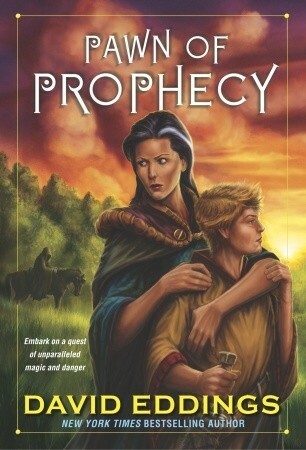 Another great pair of series that I read as a kid was Melanie Rawn’s Dragon Prince and Dragon Star series. I think I enjoyed these books mainly for the setting, the magic system, and the political turmoil going on during the story. I also like the fact that the books contained dragons in a different way than you usually see them. This is another series that I could go back and read again, and still enjoy. 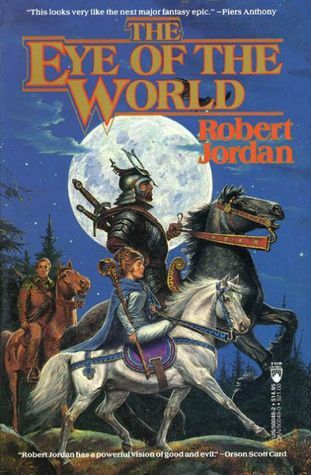 There comes a time in every fantasy reader’s life that they discover Robert Jordan’s The Wheel of Time. What can one say about the WoT that others haven’t said? The very fact that the series has a well-used acronym on the internet speaks to its popularity. It does get a bit windy at times, but this story puts the “epic” in epic fantasy. If you love fantasy and you haven’t at least tried this series, you should. It’s become something of a staple of modern epic fantasy. There is, of course, George R.R. Martin’s A Song of Ice and Fire. This one, for me at least, is a love-hate relationship. I started off tearing through the pages and ripping through the plotlines…but lately I’ve had trouble keeping up with who is related to whom, and have begun to stop caring about many of the characters. Still, this story’s ability to stay on top with only a sparing use of magic is amazing to me. Also, it portrays a medieval time period with a more realistic tone than others, I believe. It is suitably brutal and honest. Joe Abercrombie’s The First Law Trilogy blew me away, plain and simple. The varied characters, the twists and turns of the plot, the absence of a recognizable hero…this series was so dark that it shone. I think that Joe is one of the most fearless writers in fantasy, and his work is impeccable. He has a real grasp on the interactions of people and the hardships that shape them. I’ll read a textbook, if he writes it. Lately I’ve had a real love affair with Jim Butcher’s work. Both The Dresden Files and The Codex Alera are solid works with characters that I really care about. The audiobooks for both of the series are great, and I’ve put mileage on my iPod just listening to them, and more than once. Jim is great at writing underdog stories, and his novels read at an awesome pace that keeps you going long into the night. Another great thing about Jim is his work ethic. You can pretty much count on getting a new book from him every year. I know I’ve gone on for a good while now, so I’ll shortly put in a few more. 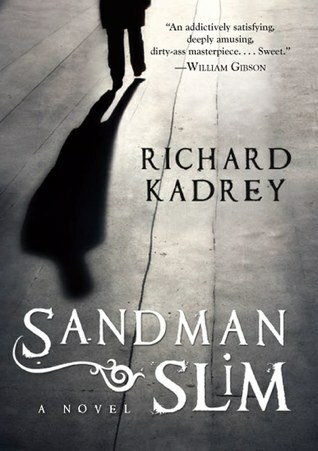 Richard Kadrey’s Sandman Slim novels are good urban fantasy with a real anti-hero who spits fire with every sentence. They’re very entertaining reads. Brandon Sanderson’s The Stormlight Archive is richly imagined and a great story. He never disappoints me with his innovations in the genre, and his grasp on character building is getting better with every book. To close it out, I’ll give one series that disappointed me completely. Terry Goodkind’s The Sword of Truth, in my opinion, is one of the worst. The hero just isn’t bad at anything, and has a tendency to make nearly chapter-long speeches about right and wrong that just bore me. On top of that, the morality is too black and white for me. It started off great, but just when you’re invested in the story it comes down around your ears. If you haven’t read it, you’re not missing much, in my opinion. In the end, your reading list is all a matter of opinion. If I’ve recommended something here that you haven’t heard of, then awesome. If not, that’s cool, too. We all know that the fantasy genre is full of books that just aren’t that good, and you have to wade through the trash to find the gems. There are many more I could mention, but these are my ultimate favorites. Have an awesome day, and keep reading! D.W. Hawkins was born in Kennesaw, GA into a very creative family. From his mother, he recieved the gift of art, from his father, the gift of music. Both parents, however, were avid readers, and D.W. is no different. He grew up in both Summerville, GA and Acworth, GA, and eventually graduated and went off to college to study computers. It didn’t take long to figure out that he hated that, so he decided to try and become a rockstar, and attended the Atlanta Institute of Music. He loved it there, but music didn’t pay the bills, so he bit the bullet and joined the United States Army. During his time in the Armed Services, D.W. travelled all over the world, including three combat tours to Iraq and Afghanistan. Through it all, he worked hard on completing his first book, The Sentient Fire. He currently lives in Savannah, GA with a fifty-pound Pit Bull who is thoroughly convinced that she is actually a Chihuahua. He has a beautiful wife, and a son on the way. You can find him working hard on writing his books, riding his Harley, playing guitar, and spending time with his friends and family. Now YOU have a chance to win! 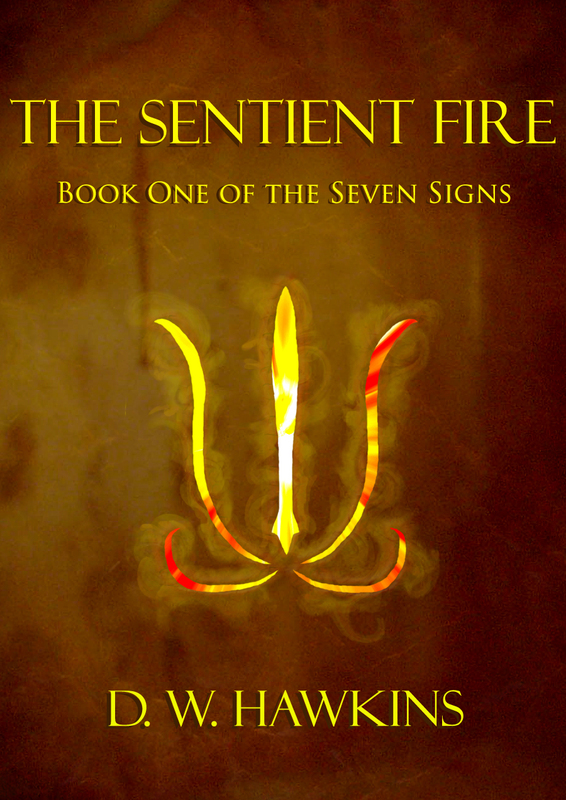 Up for grabs are two 50% off coupons for The Sentient Fire, and one free digital copy. Enter in the Rafflecopter form below. Good luck!